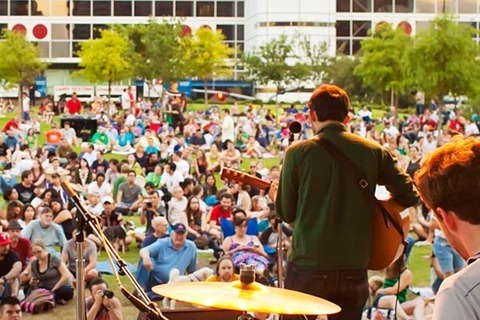 These free, family-friendly concerts showcase the best music of the Gulf Coast. Blankets, lawn chairs and picnics are welcome; food, beer and wine are available for purchase. No glass containers or outside beverages. Part of the XFINITY Entertainment Series. Free. 7–9:30 pm.